When we first started developing web apps with Ruby on Rails, some six years ago, we struggled with finding a good IDE. We settled for Eclipse with RadRails (still developing on PCs at that time...), but kept our eyes open for new and promising IDEs. 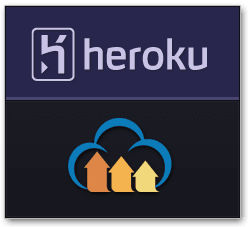 At late 2007, a very surprising contender caught our eyes, it was called ‘Heroku’ and it offered an amazing concept - a fully featured IDE for Ruby-on-Rails that was completely online, available through your favorite browser.